How do I buy a Sandler Training Franchise? Sandler Training franchise owners come from many walks of life, but they share a common goal; helping others while controlling their own destiny. Sandler Training has a recurring revenue model, additional revenue streams and is in the business to teach you how to grow your business. If you have a passion for sales, training and making a difference in people's lives, explore Sandler Training today. 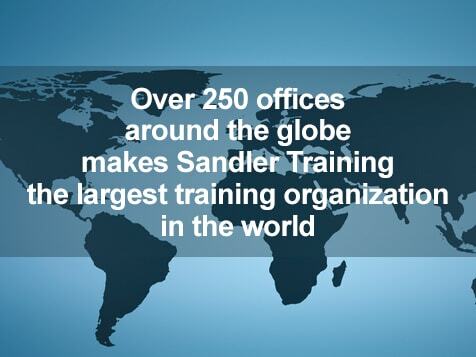 Join Sandler Training business franchise and you become part of a global network of sales and management trainers with hundreds of training centers throughout the world. You are also at the forefront of a business niche that is growing exponentially, with the support of a pioneer and leader in the training industry. Business coaching was listed as one of the hottest trends in franchising in Entrepreneur magazine's 2014 Franchise 500. As a Sandler Training Franchise Owner, you are perfectly positioned to capitalize on this rapidly growing market and reap the rewards, on your own terms, with your own franchise business. 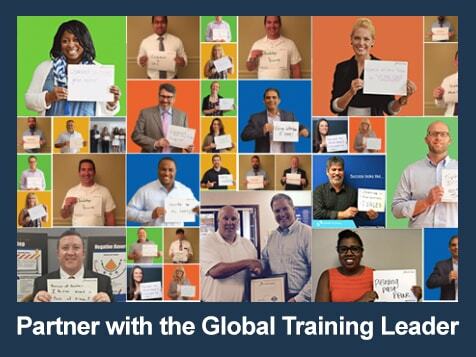 Come reap the rewards with a Sandler Training franchise. Open Sandler Training in any of these available states: AK, AL, AR, AZ, CA, CO, CT, DC, DE, FL, GA, IA, ID, IL, IN, KS, KY, LA, MA, MD, ME, MI, MN, MO, MS, MT, NC, ND, NE, NH, NJ, NM, NV, NY, OH, OK, OR, PA, RI, SC, SD, TN, TX, UT, VA, VT, WA, WI, WV, WY. RANKED THE #1 BUSINESS SERVICES FRANCHISE by Franchise Business Review. Sandler Training is not currently active in our directory, but here are some other recommended selections for you to explore.